WarnerMedia, the division of US telecoms giant AT&T that includes HBO, Turner and Warner Bros, will launch its own direct-to-consumer streaming service next year. The as-yet-unnamed service will feature content from WarnerMedia’s vast collection of films, television series, documentaries and animation. WarnerMedia CEO John Stankey said it plans to launch the service in the fourth quarter of 2019. 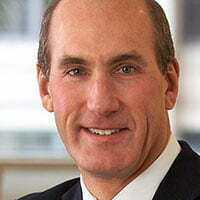 WarnerMedia was formed after AT&T’s US$85.4bn acquisition of Time Warner earlier this year. “This is another benefit of the AT&T/Time Warner merger, and we are committed to launching a compelling and competitive product that will serve as a complement to our existing businesses and help us to expand our reach,” said Stankey. The service will offer movies and TV shows from Hollywood’s biggest library, as well as licensed programming from other companies and, within a year, original content, a top AT&T executive told Reuters. WarnerMedia has not yet set a price for the service, which will join other DTC offers from the company such as the recently launched DC Universe streamer and FilmStruck, the SVoD service from Turner International and Warner Bros Digital Networks. AT&T also owns a 10% stake in US-based streamer Hulu via WarnerMedia. The Walt Disney Company is set to own a majority stake in the company via the combination of its and 21st Century Fox’s 30% stakes, while Comcast, via NBCUniversal, owns the remaining 30%.